Find an integrated solution that would allow us to have Web reservations and roving registration points, both for check-in and check-out. Implement a Wireless solution that allows hotel agents to check-in and check-out guests, process credit cards, print receipts and program room keys anywhere in, or nearby, the hotel. Opryland Hotel Nashville, part of the Gaylord Entertainment Company, is the largest hotel convention center under one roof in the world with 2,883 guestrooms, 600,000 square feet of convention space, nine acres of indoor gardens, a quarter-mile indoor river, retail shops and restaurants. Over four million guests stay in the hotel annually. Opryland, always actively searching for better ways to manage these high volumes of guests, has implemented a LANSA based Wireless solution that allows hotel agents to check-in and check-out guests, process credit cards, print receipts and program room keys at the curbside or anywhere else in or nearby the hotel. The solution, LMS Wireless Express from LANSA solution partner Inter-American Data (IAD), has reduced queues at the reception desk and allows guests to check-in and check-out closer to where their room is. Opryland chose IAD’s Lodging Management System (LMS) as their property management and reservation system, to replace its internally maintained and customized systems. In addition to having the most robust hotel management system, IAD could provide integrated Web reservations in their standard LMS offering and IAD was already in an advanced stage of piloting Wireless check-in facilities in LMS. But Opryland didn’t want to lose their enhancements and customizations made over the years, so IAD incorporated Opryland’s ideas in their base LMS code, because the extra functionality could also benefit other IAD customers. With LMS Mobile Express hotel staff can welcome customers throughout the hotel with a handheld Web enabled computer from Symbol Technologies that fits into a pocket and weighs 288 grams. Staff can use handwriting and GUI controls to perform a complete check-in, make changes to a reservation as well as other tasks that are typically performed at a stationary computer at the front desk. 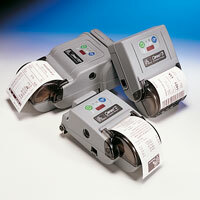 A Zebra® Cameo PEP (Portable Encoding Printer) strapped around the shoulder or belt gives full mobility to the process with the ability to produce receipts, read credit cards and program room keys. The handheld devices communicate over Symbol’s Wireless LAN to access points located throughout the hotel. The access points on Symbol’s 11 megabyte wireless LAN use TCP/IP to connect to Opryland’s iSeries that runs the core business LMS system. Criss Chrestman, e-business practice manager at IAD, says, “In creating this Wireless solution, the LANSA part was not difficult at all. It is just a browser application, but now designed for a very small screen. The greater challenge was to be an early adaptor and integrator of the extraordinary technologies. LMS ResNet, the Web reservation system that Opryland implemented, allows for standard online bookings and will soon include automated yielding of rates and group delegate bookings. Meeting planners can have a secure Web page on Opryland’s site and control their own room list, which is fully integrated with Opryland’s reservation system. This allows for a common area where Opryland can look between their own inventory and the block of rooms reserved for a specific convention planner. “Because of the flexible configuration options and settings ResNet not only offers B2C Web commerce and B2B for group planners, but it also enables Trading Partners to use to the web site. This is all done through the same applications and methods with automatic identification to make it seamless,” says Criss. “The LMS solution with the LANSA and iSeries architecture behind ResNet and LMS Express are robust and perform well in the high volume transaction environment that a facility of our size generates.” concludes John.